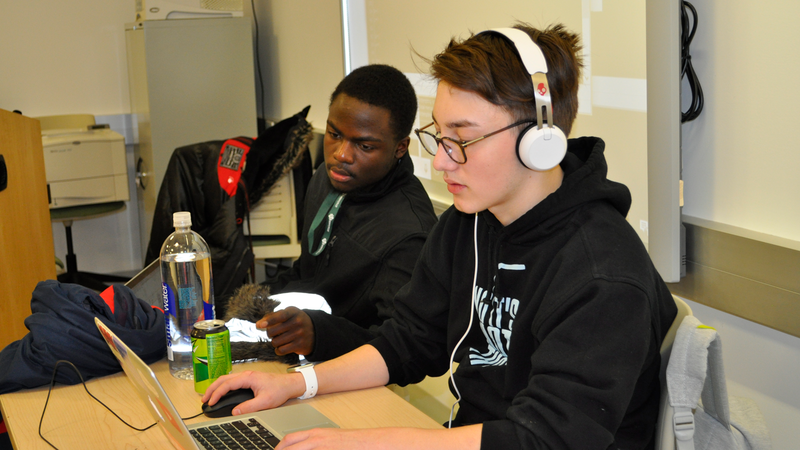 Global Game Jam will run from Jan. 25 until Jan. 27, 2019. 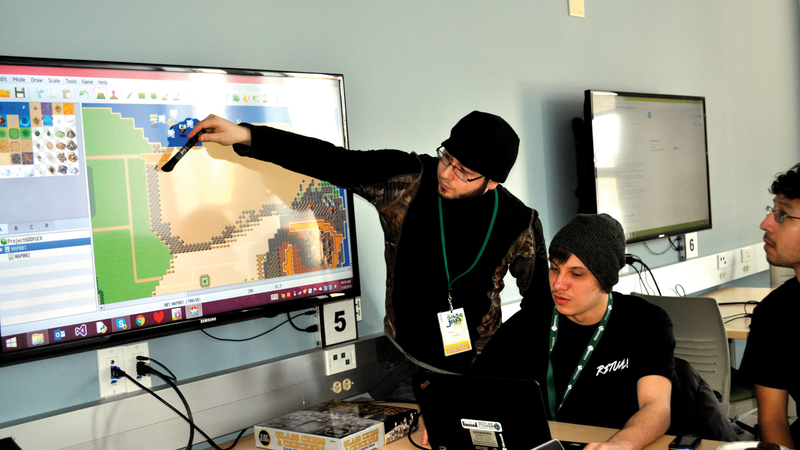 The Enitiative Global Game Jam at SUNY Morrisville is part of the Global Game Jam, the world’s largest game jam event. Students, alumni and staff from SUNY Morrisville and the local community register for these events every year. Worldwide, there are over 700 locations in 95 countries with 36,000 participants working together to create over 7000 games. Participants are given a central theme and just 48 hours to create a video or board/card game. Game Jams foster innovation and experimentation. If you have ever wanted to make a game, be a part of a team, or go outside of your usual working method, then a game jam is for you. 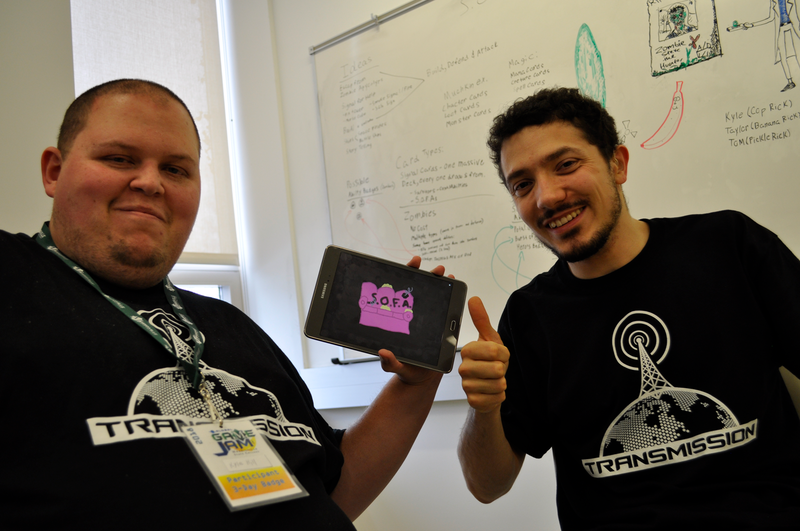 It's all about making games and in the GGJ you're part of a global experiment in creativity. 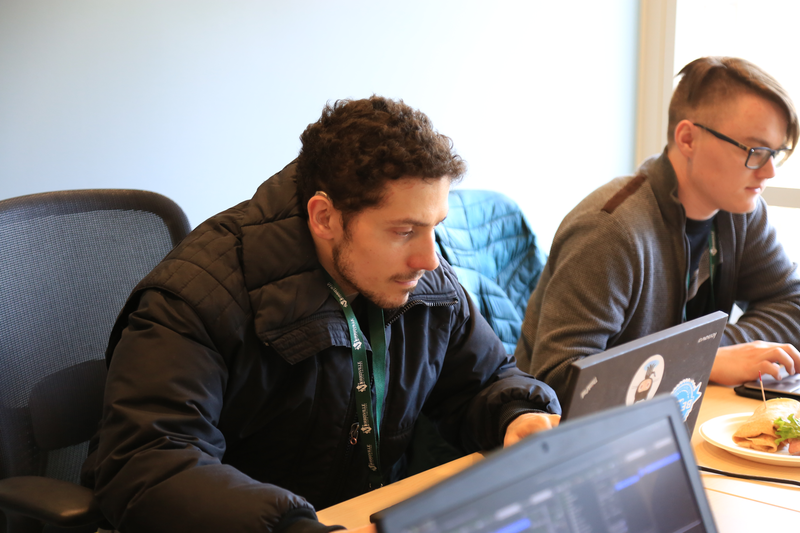 The goal of the Global Game Jam is to provide a vehicle for professional developers, students and hobbyist to come together and have an incredible experience in collaboration and inventiveness. The GGJ works perfectly into the mission of the International Game Developers Association, "connecting members with their peers and promoting professional development." A Game Jam is not a competition, it is unique "idea space" where sometimes things work and sometimes they don't. Global Game Jam™(GGJ) was established in 2009 as an IGDA event with great success and media attention. Lives were changed, jobs found, ideas sold, collaborations and opportunities abound. 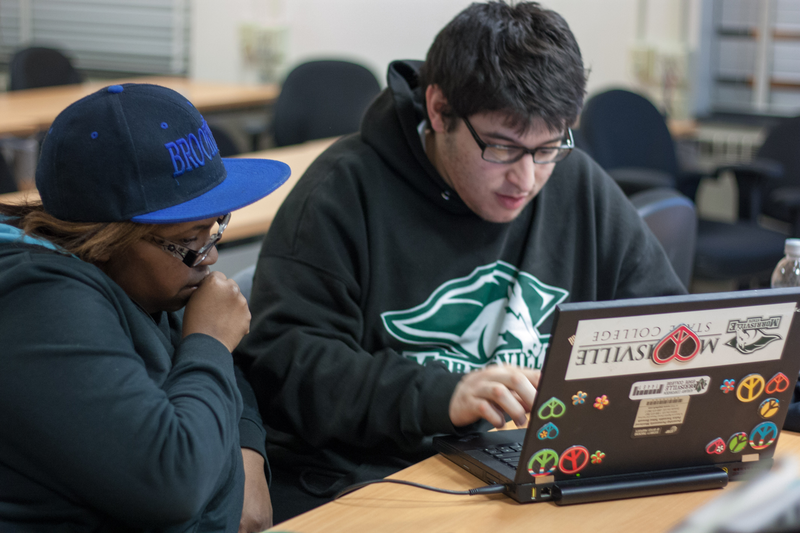 For more information on the Global Game Jam, including a database of downloadable games, photos and video from the events and more, visit: http://globalgamejam.org.